We Can Help You Get the Best Gear! Destiny Carries Site Profile integrates Destiny Player Statistics into the site Profile. Once you sign up on our Destiny Carries and LFG site, we transfer player statistics from any Destiny Platform including PlayStation (PSN), Xbox, and even PC our site. The stats are updated every 3 minutes making sure it is up to date and current. Once logged into the site profile players have a convenient location to view their k/d ratio, gear, and power levels. These Statistics are integrated into the player’s site’s profile. If you are looking for the Best Destiny LFG Site you have found it. Using our Destiny LFG Site, a player’s statistics cannot be faked. Players looking for a group or more players to join them in complete activities have a sure way to find them. Destiny Player stats are easy viewed by clicking on the player’s profile. Also, players can view the stats of other Destiny gamers by using our Destiny 2 Profile Search Page. If you’re looking to put together the strongest fireteam of ragtag guardians to venture on Exotic Quests, Raid, Raid lairs, Crucible, and Vanguard, you’ll have some numbers to go by. 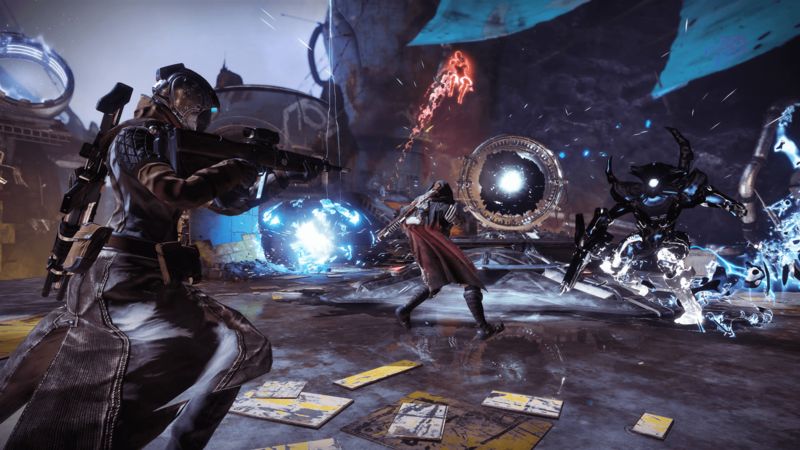 You can experience Destiny 2 in your own way, but if you want to experience what the game really has to offer, then immerse yourself in its multiplayer platform. Here you can find players from all game platforms like PlayStation (PS4), Xbox, and of course for the PC. Prepare for Hard Mode, an experience like no other, as you team up with players from North America, South America, Europe, Asia, and just about everywhere in the world, dominating a multitude of challenges that the game has to offer. Or face off with the very same players you call your teammates in PVP for a chance at eternal glory. Here you can find a way to get a fresh run and complete activities in PVE like Raids, Weekly Challenges in the Dreaming City and don’t forget the Shattered Throne. Complete the Leviathan Raid Royal Pools, Pleasure Gardens. Raid Lairs Eater of the Worlds, and Spire of the Stars. New Destiny Forsaken Raids like The Last Wish, and Scourge of the Past. Defeat Kalli, Shuro Chi, Morgeth, Last Wish Vault, Riven, and finally Queenswalk for a chance to get the Thousand Voices. Don’t forget you can also find ways to complete Escalation protocol, Weekly Heroic Strikes, Nightfalls, 100,000 Nightfall, Heroic Challenges, and Exotic Quest too. The PVP side you can immerse yourself in Trials of the Nine, Iron Banner, and Competitive Mode. So, if you’re looking for a group site that can help you with Destiny 2, reach out to us for our online destiny boosting service! Looking for other players or groups to complete Raids Lairs like Eater of Worlds, Spire of the Starts, Forsaken Raids, Missions, Trials of the Nine, Strikes, Nightfalls, and the crucible? Luckily, you’ve come to the right place! We know how challenging this game can be and that’s why we’re here to help you out. Look for groups or other players here at our LFG LFM site and get started on those missions together. Our LFG site is unique and easy to use here you can find people. Looking for an awesome LFG Raid site we have that too. With Destiny 2’s multiplayer platform, there’s no telling what can happen next. If you want to guarantee your success in this game’s multiplayer platform join us here at Destiny Carries & LFG! Don’t worry! Even if you’re a first-time raider, you can still find seasoned players here and ask them for assistance. Feel free to join our forums and ask questions about particularly challenging quests and adventures. For more detailed instructions, you can check out some walkthroughs on our Stream page. You can also choose to have us carry you to the next part of the game! Our Experts are professional, trustworthy, and we do what we set out to do without making any unnecessary changes to your characters. Check out all of the events we have to offer you to improve your ranking and level in this multiplayer game called Destiny 2. You’ve experienced the campaign in your own way, but if you want to experience what Destiny 2 can really provide, you have to go multiplayer. Blast your way through various opponents, missions, and skirmishes with a team! With the LFG/LFM feature, you can join a team of your choosing or look for players who fit your team’s description. Here at Destiny Carries & LFG, your destiny is in the palm of your hands. Team-up with experts across the extensive world of Destiny 2 to accomplish various mission objectives and strategies. Or leave it to the experts to accomplish those rather difficult missions altogether. With Destiny Carries & LFG you are in control.